Moving, for many people, is a stressful event. You will need to figure out how you will get your family and belongings from the old house into the new one. This requires you to do a lot of serious research and make some considerations to ensure your belongings arrive safely and with minimal to no damage. 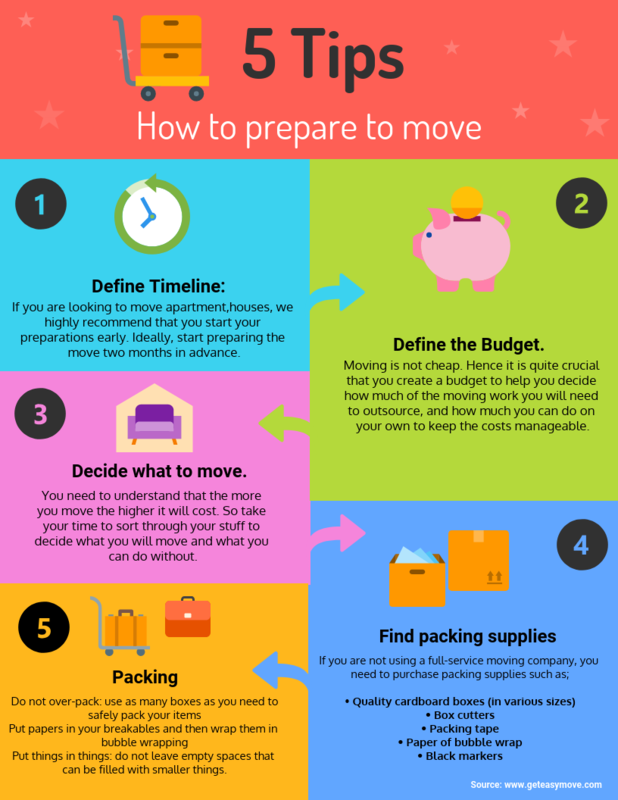 How to prepare for a move. If you are looking to move houses, we highly recommend that you start your preparations early. Ideally, start preparing the move two months in advance. Moving is not cheap. Hence it is quite crucial that you create a budget to help you decide how much of the moving work you will need to outsource, and how much you can do on your own to keep the costs manageable. • Will your furniture fit in your new place? • Does your current style fit your future home and location? • Are you upsizing or downsizing? You need to understand that the more you move the higher it will cost. So take your time to sort through your stuff to decide what you will move and what you can do without. If you will be packing your stuff on your own, make sure to do it in a way that minimizes damage and maximizes the ease of unpacking in your new home. When it comes to the move, you have two main options. 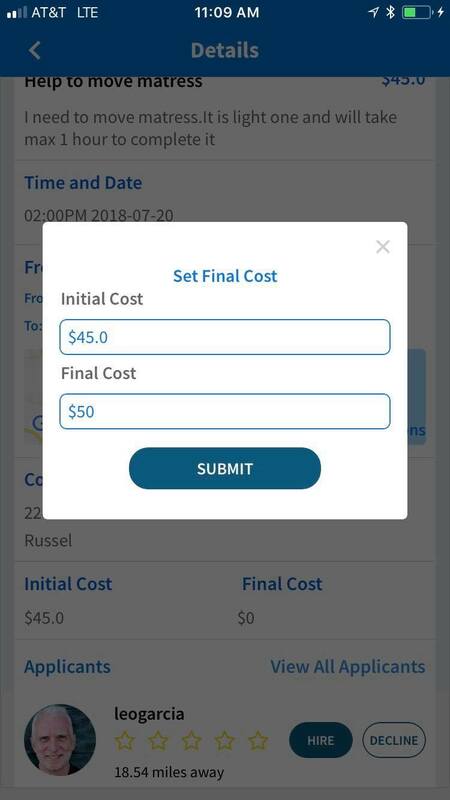 Opt to do it the traditional way or use the modern way through moving app. If you are looking to move the traditional way, you will need to call several moving companies and schedule an appointment with them. The companies will each send a representative who will walk through your home to give a ballpark estimate of your moving cost. However, since estimates are not set in stone, there is usually a high likelihood that the price could change on your moving day. You will also have to do your due diligence to choose a moving company whose insurance and license are current. 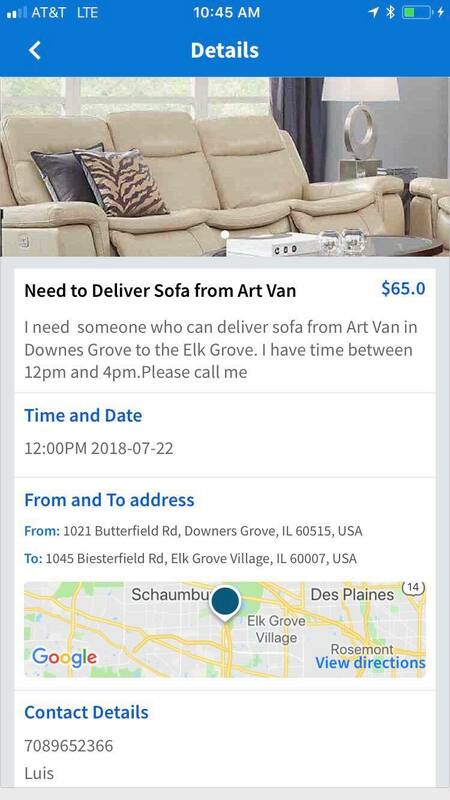 You need to do some research on the company’s experience, reputation and check out reviews to choose a reliable mover. You will need to repeat this process for several movers to choose the right one. This entire process works to add more stress and pressure to your moving. Fortunately, the modern moving companies are making the entire a whole less stressful. Modern moving companies like Uber for moving furniture, Easymove makes the whole process simple, easy and stress-free. Easymove is an on-demand moving service that works a lot like Uber for moving. Their commitment to professionalism friendliness and the highest quality services provides a welcome change from the stressful traditional moving experience. All you have to do is simply key in your old and new and what you are moving. They use this information to provide an all-inclusive rate, meaning you will not have to worry about any extra or hidden charges. You can request for a mover and will have them picking up your furniture within an hour. If you want, you can schedule an Uber truck to get the pickup done in a few days’ time or on a specific date and that will be done too. After that, you will receive an instant quote from a licensed and vetted moving company. When it comes to pricing, the modern way offers some of the cheapest solutions. The average cost of moving into a studio apartment is roughly $200 whereas moving into a 2-bedroom house can cost up to $456. With all the important decisions one has to make, moving can be a stressful project. Fortunately, Easymove makes finding the right moving company easy. Easymove ensures all your belonging are moved safely and securely at a price at an affordable cost. They take the time to vet all their movers as well as ensure the quote you receive from the onset does not change. This allows you to move with ease and peace of mind. Book Easymove, make your moving easy, hassle-free.